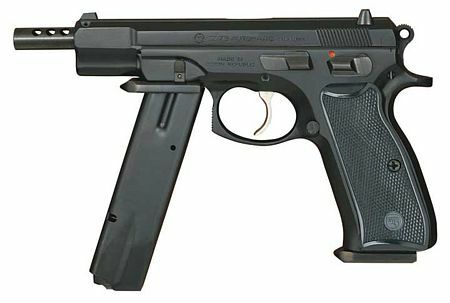 A variant of the now-common CZ 75B (B standing for firing pin Block) with a decocker replacing the traditional manual safety. (D stands for Decocker.) 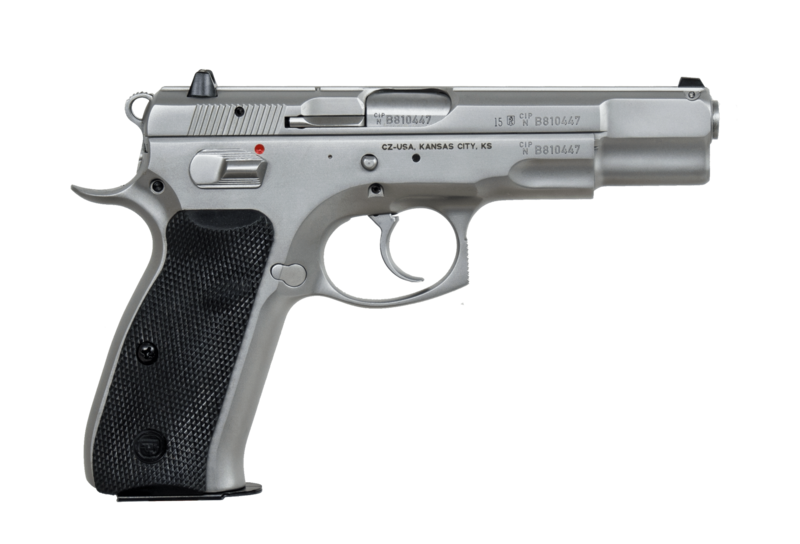 This variant is quickly becoming the most common of the CZ 75B models, due to the additional safety the decocker safety provides. 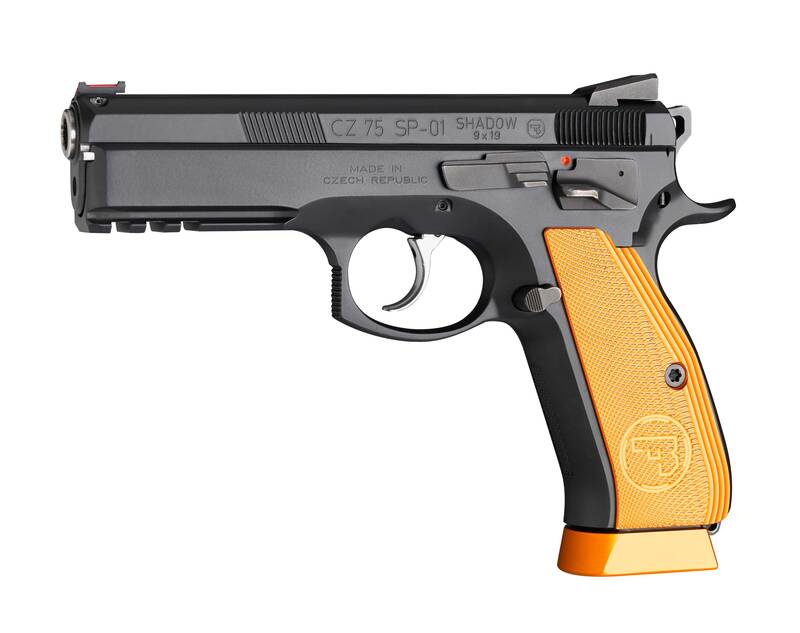 Variant of the CZ 75 BD equipped with loaded chamber indicator, reversible magazine catch, lanyard ring, checkered front and back strap of the grip and serrated trigger as standard. Most POLICE models have “POLICE” stamped on the slide. A smaller amount exclude “POLICE” but have front slide serrations. 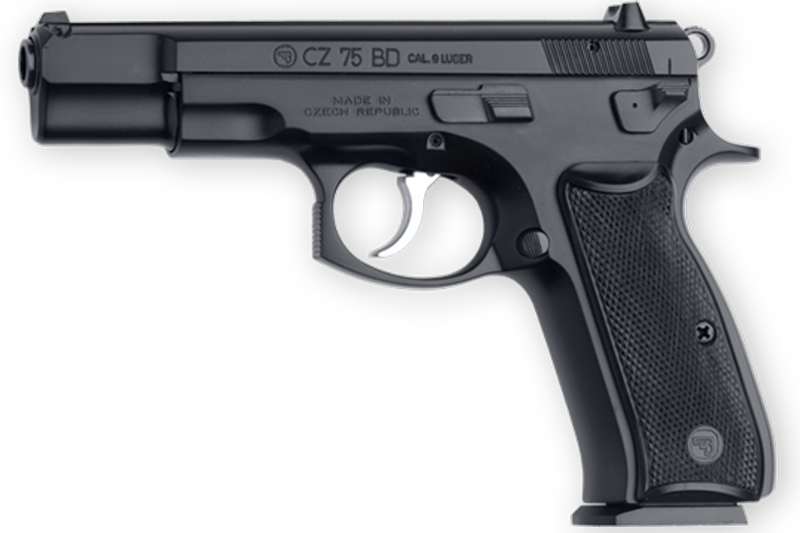 An updated version of the CZ 75 that’s also ambidextrous. 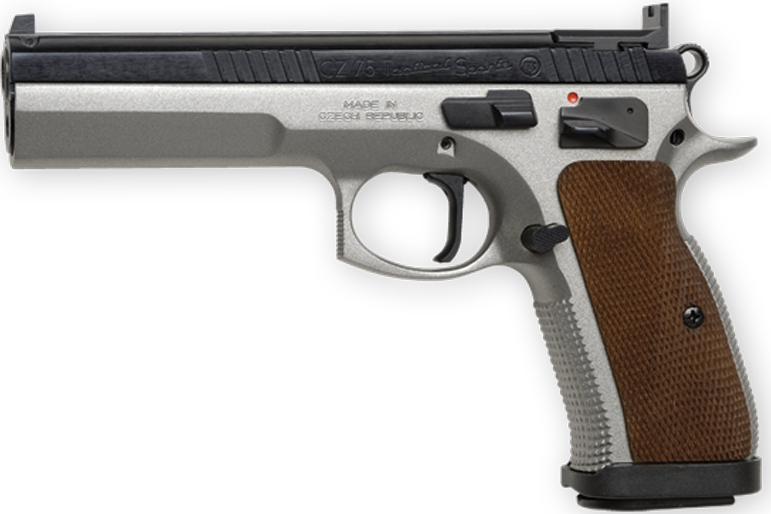 Very compact – similar to the P-01 in size, but lacks an M3 rail frame and features a smaller muzzle point and snag free sights. 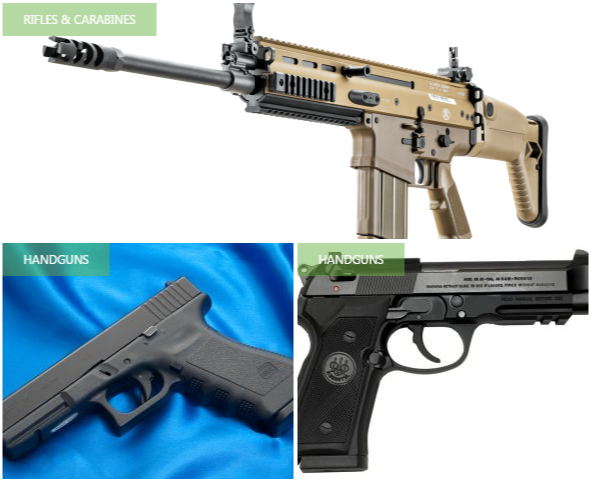 A popular choice for a carry weapon, known for its inherent accuracy and weight distribution. 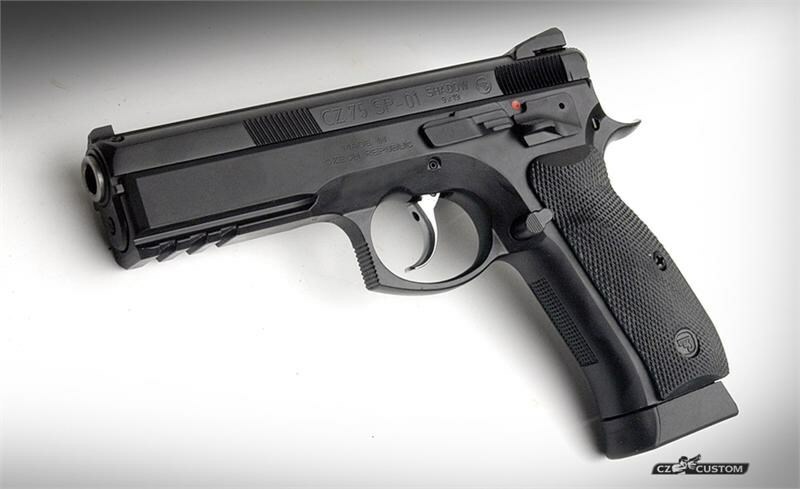 CZ 75 SP-01 Shadow Line – a competition-centric variant of the CZ-75 model. A .22 LR caliber slide/ barrel assembly and magazine kit to fit onto most standard CZ 75B frames (except the Tactical Sport and SP-01 Phantom). The Kadet also used to be sold as a complete pistol (slide assembly and frame), but is now only sold as a slide assembly to be mounted on existing frames. The 2nd generation conversion kit currently being sold is called the “Kadet 2”, and includes a dedicated .22 slide stop that locks the slide back on an empty magazine. Night sights are optional.